With all the DesignerCon craziness over and done with for another year did anyone spot HARIKEN’s “GIANT SIZE GLITTER SUPER DARUMABOYA” Red edition get a release last weekend? If not Unbox has some left at retail price. Who can deny that one tooth of DARUMABOYA, Ha. 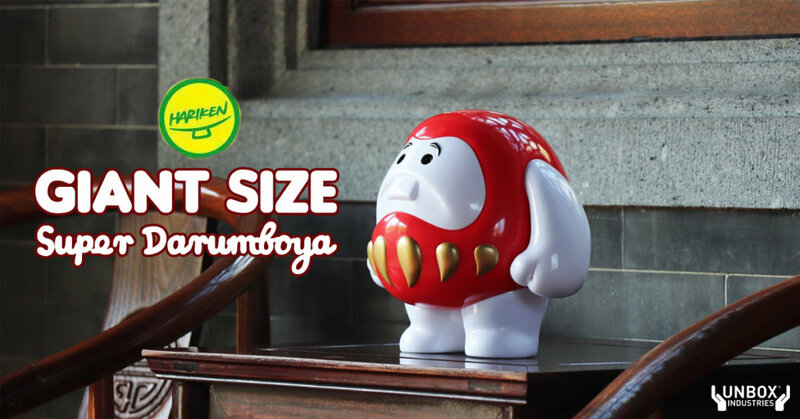 After seeing GIANT SIZE Super Darumboya by HARIKEN all over Asian conventions we had wondered when collectors will be able to get their hands on one. Todays the day where GIANT SIZE GLITTER SUPER Super Darumboya gets an online release and its the classic HARIKEN Classic RED colourway.